We have been working with the parents and staff in the local schools to create outdoor learning areas. 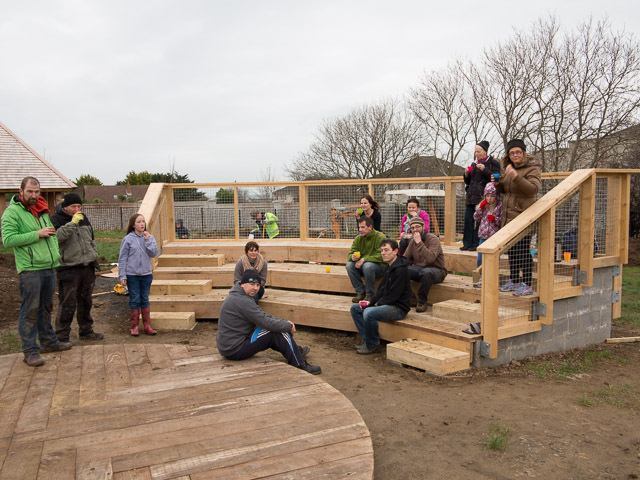 In Skerries Educate Together N​S​ ​the hard landscaping and structures funded by the Percent for Art scheme are completed. 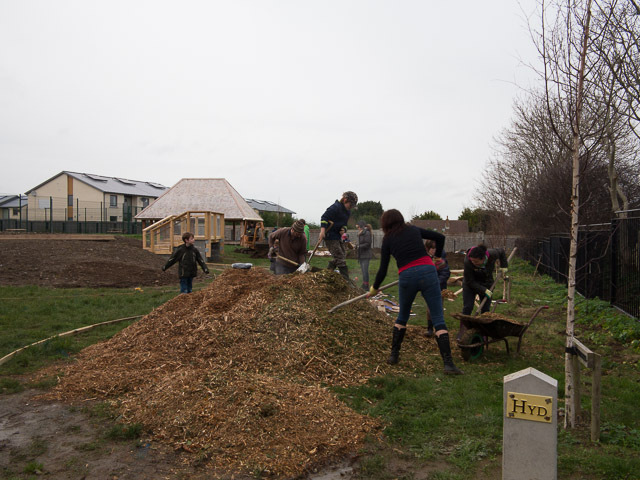 Parents and children are now installing mulch-lined pathways, raised beds and a planting scheme. When this is finalised in early 2015, the school will have a wonderful new space in a beautiful setting. The funding from a Local Agenda 21 grant will enable the purchase of plants and other supplies which cannot be sourced or supplied through voluntary effort. Building work at St Patrick’s Junior will also lead to a changed layout for the school garden. Despite this, every child has been involved in making bird feeders, fat balls and ‘leaf’ collections. Each class has looked at the diversity of plants within its grounds, and the children have been planting a wide range to attract different species of butterflies and bees. As we look forward to 2015 we are hoping to build on previous successes ​(​and failures!​) and would love to hear from anyone who is willing to volunteer a couple of hours a month. This entry was posted in Guerrilla Gardeners, SCA by SMcK. Bookmark the permalink.